Concealed-carry applications are “through the roof” in Skagit County after a gunman killed five people at the Burlington mall, authorities said. BURLINGTON — Skagit Arms store manager Guy Hanson stood Wednesday afternoon behind a glass display case filled with small handguns, the type of weapon favored by those with concealed-carry permits. 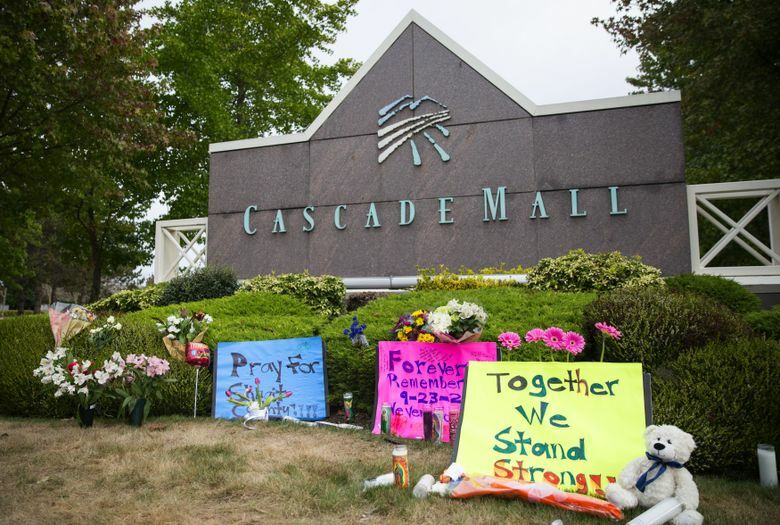 Gun sales and concealed-carry permit applications spiked in Skagit County after the Sept. 23 shooting that left five dead at Cascade Mall. It’s a common reaction to a mass shooting, Anacortes Police Chief Bonnie Bowers said in a statement. Her department handled about eight times the concealed-carry permit applications than normal the week after the shooting, with 16. She said many applicants were applying due to concerns over the mall shooting. Other area police departments reported similar increases. The Sedro-Woolley Police Department tied a department record for most applications received in one day at 12, Chief Lin Tucker said. “That’s through the roof,” Tucker said. The Mount Vernon Police Department’s number jumped to 13 for the last week of September after having one application the week before. Burlington has had 13 applications since the shooting after having just one application for the first three weeks of September. Mary Parker, of Anacortes, applied for a concealed-carry permit last week. She said she had been meaning to apply for the past several months, and the mall shooting served as the final push. Skagit Arms owner Anthon Steen said concealed-carry-type weapons sales at the Burlington store have doubled since the mall shooting. Dave Bates, manager of All American Armory in Bow, said his store saw an increase in firearms sales across all categories. Employees from both stores have been referring inexperienced gun owners to safety classes, something Bowers and others in law enforcement said is important. Bowers said it takes hours of practice to become proficient with a gun, and that scenarios in which a concealed weapon might be useful can be complex. She said officers in her department spend 10 to 20 hours a year at gun ranges to fine-tune their skills. Bowers said she has no qualms with people buying firearms, but said gun responsibility is important. Parker agreed, saying she doesn’t take gun ownership lightly and that she would be taking classes. To get a concealed-carry permit, residents must visit their police department. The process includes a background check, being fingerprinted and paying a fee. It takes about 30 days to receive the permit.